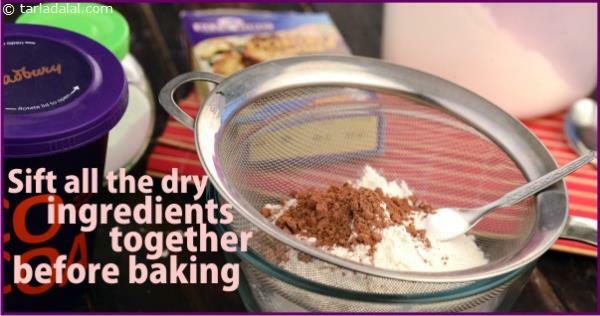 t is important to sift all the dry ingredients like flour, baking powder, baking soda and cocoa powder together before mixing it with the wet ingredients. This helps the ingredients to be evenly distributed in the cake batter. It also incorporates air into the cake batter, thus resulting in a beautifully leavened light cake.